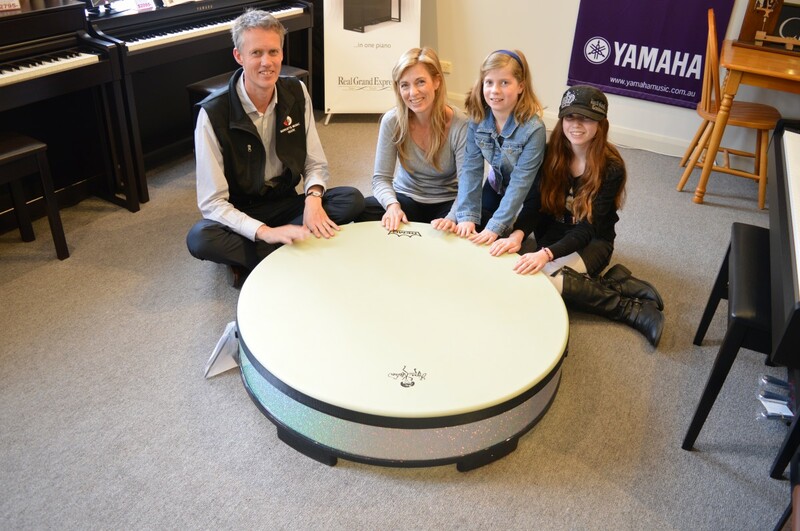 Mark, from Barratts Music, Tonya, Poppy and Lara try out The Music Tree’s latest “toy” a Remo 40″ Gathering Drum. What child could resist the urge to have a go on this one?? ?